Mera Watan Wohi Hai, Mera Watan Wohi Hai"
This couplet is based on a Hadees Mubarika. Holy Prophet (PBUH) said, "I feel cool breeze coming from Hind". Lets read some references by Oriya Maqbool Jaan and Prof. Ahmad Rafique Akhtar about this Hadees and Future of Pakistan, the couplet from Bang-e-Dra and then details of this Hadees-e-Mubarika. "I am Arab, but Arab is not in me and I am not in Hind but Hind is in me"
Allama Iqbal used a part of this Hadith in his couplet of Bang-e-Dra. Note: This is a famous hadith but not much information is found on Internet. Hadith about cool breeze will be in 2nd Jild, first Jild is here. Q) Assalamo Alikum mufti sahib ! My question is whether there is any tradition that Holy Prophet (PBUH) felt breeze from India. Allama Iqbal has said something like that in his poetry; "MEERE ARAB TO AYE THANDI HAWA JAHAN SE MERE WATAN WOHI HAI." Any tradition saying this. Sorry for too many questions in last two days. Waiting for the answer. A) We could not find this Hadith, may be it is somewhere. But, it is surely known that the virtue of India has been mentioned in the traditions of the Prophet (صلی اللہ علیہ وسلم). There is one Hadith saying that Hazrat Adam (علیہ السلام) was sent down to India, he was accompanied with the breeze of paradise, it is the same breeze which blows in the valleys and trees. The referred words are in poetic form which contains indications and figuration. In order to understand it you must refer to the poetry of Allama Iqbal with its commentary. If the Indian philosophy(Vaishnavism)occupies the heart and mind of the prophet,how can he permit war against India?!! Greater Khorasan, a historic region that covered parts of modern day Afghanistan, Turkmenistan, eastern Iran, northwestern Pakistan, Uzbekistan and Tajikistan. So Iran will help Imam Mahdi in establishing Khilafat and after Ghawa-e-Hind India will become part of khilafat. Insha'Allah people of Iran and Pakistan will help Imam Mahdi. I know that al-Hâkim’s Mustadrak contains a lot of weak hadîth, though he claims that all the hadîth in it are authentic according to the conditions of either al-Bukhârî or Muslim. 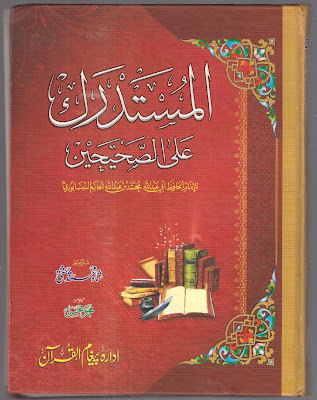 We often read in books that al-Dhahabî has concurred with al-Hâkim’s assessment. When this is the case, does that mean we can accept with confidence that the hadîth is authentic? What al-Dhahabî does in his Talkhîs with respect to al-Hâkim’s Mustadrak is simply to abridge it. He does the same for a number of other books. Generally, an abridged work does not include anything extraneous to what is found in the original. Quite the contrary, there is material from the original that is omitted. 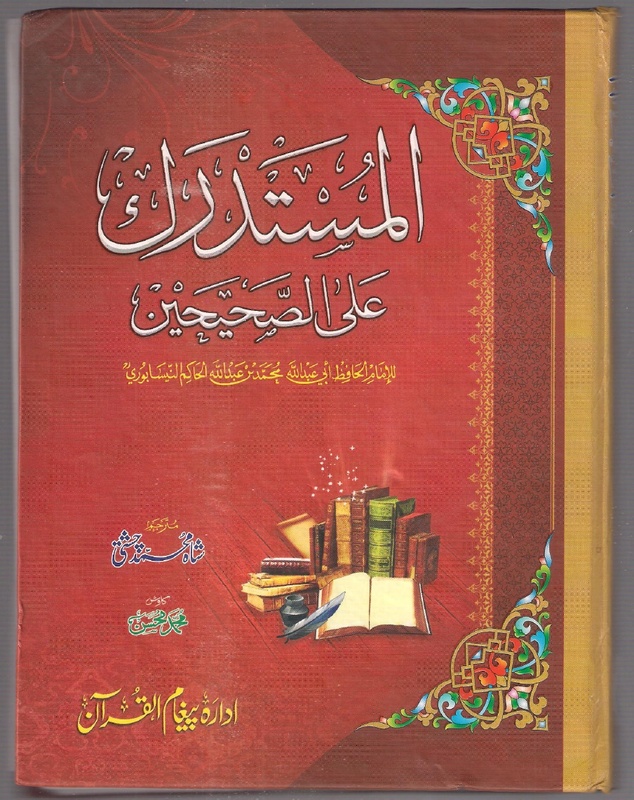 However, al-Dhahabî does not leave his abridged works without volunteering some comments of his own for the benefit of the readers. He does not add these comments according to any organized scheme or methodology, but offers them whenever he feels like doing so. Bear in mind that al-Dhahabî never says anywhere that when he relates al-Hâkim’s verdict on a hadîth without making a comment of his own that he is agreeing with al-Hâkim’s assessment – or even that he does not object to it – and that such an assessment can be attributed to him as well. Therefore, all the verdicts on the hadîth that are found in the Talkhîs without being preceded by the words “I say...” are merely the rulings given by al-Hâkim himself. The assumption that al-Dhahabî’s silence is some sort of tacit agreement is a very weak assumption to make, because it is contrary to the normal conventions employed when making an abridgement of another’s work. Generally, all that is done is to relate what is in the original.